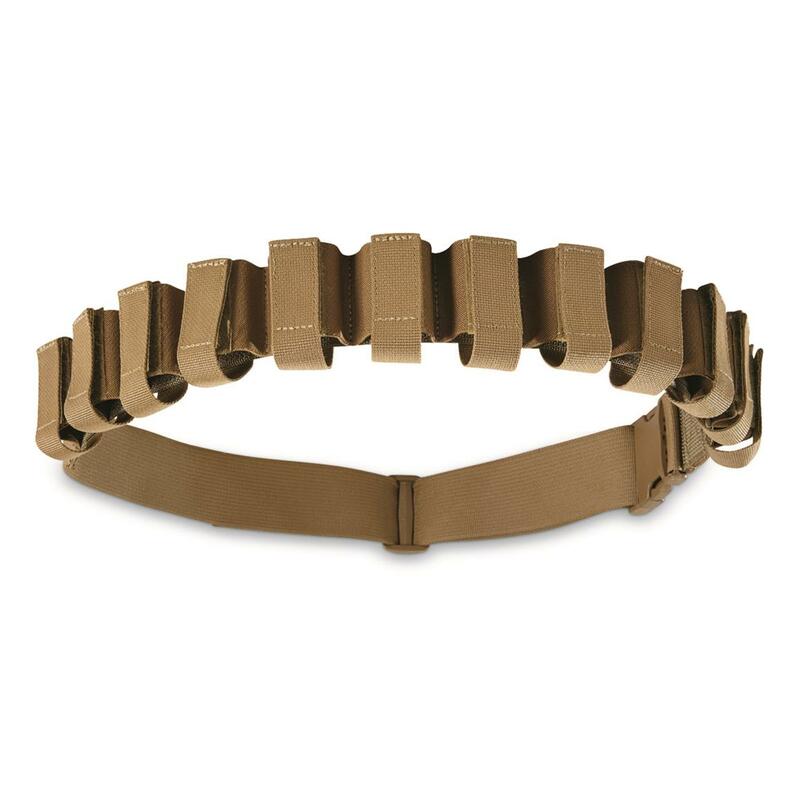 2" wide belt, adjusts from 36" to 56"
Carry more ammo, without adding a lot of baggage. This Belt puts 12 rounds of 40mm cartridges in easy reach, and hauls them out to the field or range hands-free. Wears around your waist or your shoulder. Made to incredibly strict U.S. military specs and sure to last through any adventure. Affordable and easy carry for your ammo. Order now! Size: 2" wide belt, adjusts from 36" to 56"